How to Create Baloon air? At this time, we will tell you hoe to create a nice baloon air using corel draw X4, but if you don’t have corel draw X4, poor you! . 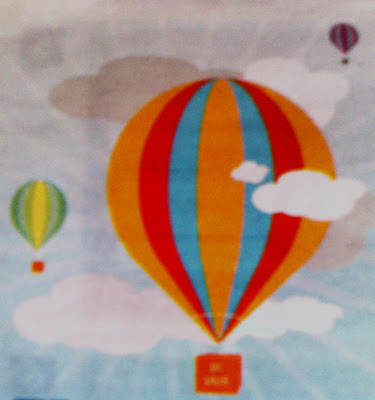 Ok, without waste the time, i will teach step by step how to create baloon air, take it easy..
1. 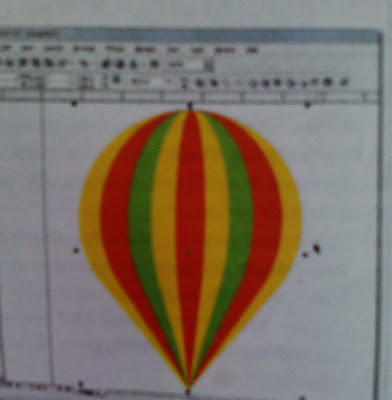 Open coreldraw X4, i am sure you can do it. 2. Now serious. 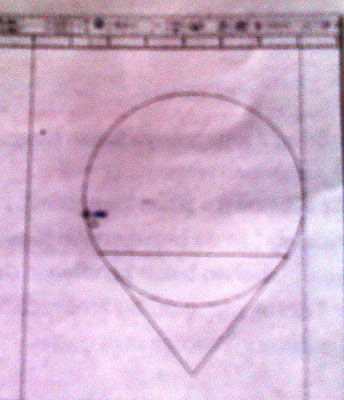 Press [F7] or click [Ellipse Tool] at toolbox to create a circle. 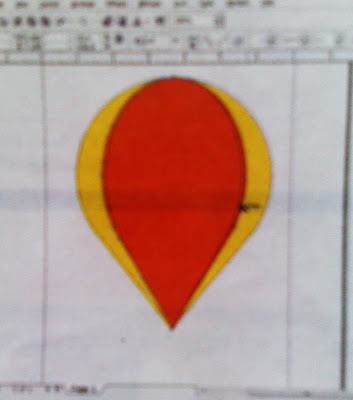 Then create triangle using [Polygon tool] or press [Y] . Fill 3 at “Number of points or side...”menu at toolbar. Then take it like this picture. 3. Combine the triangle and the circle. Press [Ctrl] + [A], then click [weld] at toolbar. Press [Shift] then pull the left side until like this. Then fill it with the colour you like. 4. Click [Ctrl] + [C] to copy it, then press [Ctrl] + [V]. Give the duplicate with the new colout that different with orriginal shape. 5. 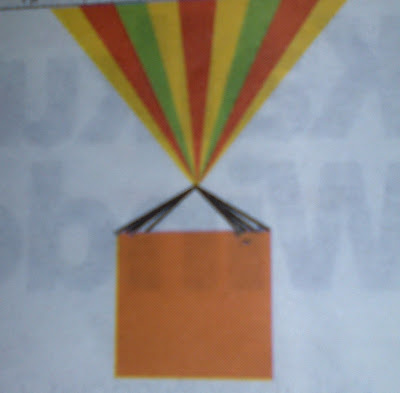 Do step 4 many times until it create a baloon fold, likes the picture. Press [Ctrl] + [A] then press [Ctrl] + [G] to combine. 6. Create a box under this baloon using [Rectangle Tool].you can create a wire that conduct the box and the baloob using [Bezier Tool]. Then colour it. 7. Now we will create a cloud. 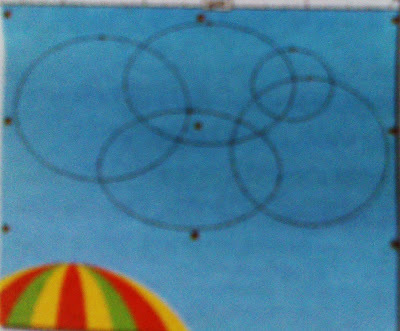 Create some circle and take it gradienly, like this picture. Then combine this.